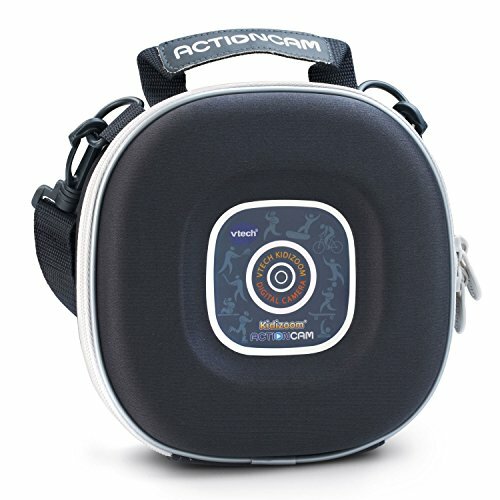 Take your Kidizoom Action Cam and accessories with you everywhere in this durable carrying case. This tough case features spaces to hold the Action Cam and several mounts as well as a handy accessories pocket to hold the bike mount, USB cable, memory cards and more. The case also has a handle and adjustable strap so you can safely take your camera everywhere. Kidizoom Action Cam and mounts sold separately. Intended for ages 4 to 9 years.